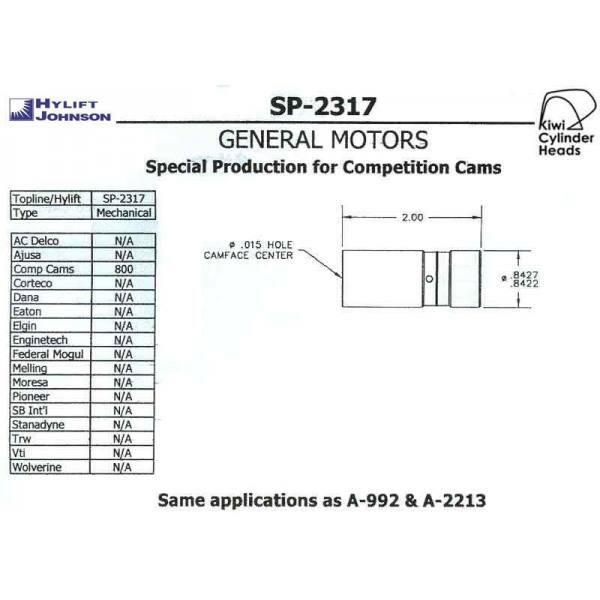 special production for competition cams. 0.15inch hole in camface centre. Same application as A-0992. GM ENGINES.